Scott Schmidly, a health care executive from Hospital Corporation of America (HCA), has accepted the position of Chief Executive Officer of Saint Joseph’s Hospital in Atlanta, effective April 17. 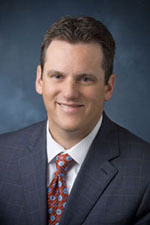 Schmidly comes to Saint Joseph’s Hospital from Dallas, where he has been the Chief Operating Officer and Ethics and Compliance Officer at Medical City Dallas Hospital and Medical City Children’s Hospital since 2007. He has more than 15 years of progressive health care experience in a variety of adult and pediatric hospitals, including investor owned, joint ventured for-profit/ not-for-profit, and community-owned academic teaching institutions. Medical City is a 680-bed, full-service adult and pediatric hospital with a medical staff of more than 1,200, and spanning 95 specialties. Medical City is the recipient of numerous national and state awards, including the Quality Texas Foundation’s Award for Performance Excellence, Texas Monthly magazine’s Best Company to Work for in Texas, and is Magnet designated by the American Nurses Credentialing Center. Schmidly earned a Bachelor’s of Science in Biology with a minor in history from Stephen F. Austin State University, and a Masters in Health Care Administration from Trinity University. He is a fellow in the American College of Healthcare Executives (ACHE) and a recipient of ACHE’s Executive Regent’s and Governor’s Awards. In January, Emory Healthcare and Saint Joseph’s Health System successfully closed the terms of their partnership, effectively allowing the two preeminent health care systems to combine key strengths and resources, while meeting the needs of a rapidly growing and aging population. The Joint Operating Company combines the renowned Saint Joseph’s Hospital with the Emory Johns Creek Hospital, under the Emory Healthcare umbrella. Founded by the Sisters of Mercy in 1880, Saint Joseph’s Hospital of Atlanta is a 410-bed, acute-care hospital recognized as one of the leading specialty-referral hospitals in the Southeast and one of the few hospitals in Georgia to receive Magnet Accreditation for Nursing Excellence. Saint Joseph’s medical staff is comprised of over 750 physicians.